For adoption fees and more information about our adoption policies, and to complete an adoption application, please go to our website, purrpartners.org. Prada was brought in to a high kill shelter as a stray, and once she got into rescue she thought her life was going to be full of happiness from then on. Unfortunately the person who adopted her from us became too ill to take care of her any more, so Prada has ended up back in foster care. She is a wonderful kitty, though, and we just know her real forever home is out there looking for her. 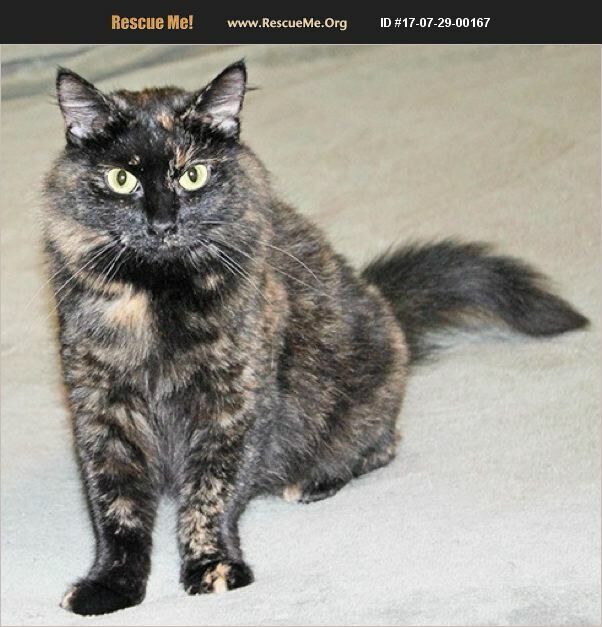 Prada gets along well with other cats and ignores the two gentle dogs she lives with. She loves to be petted and brushed, and will purr whenever she's picked up. Prada is on the small side even though she is an adult �'�| she's a purrfect lap size! She's really a very sweet cat who has had some bad luck in her life, and now she's waiting very patiently for her 'someone' to find her and take her home forever.